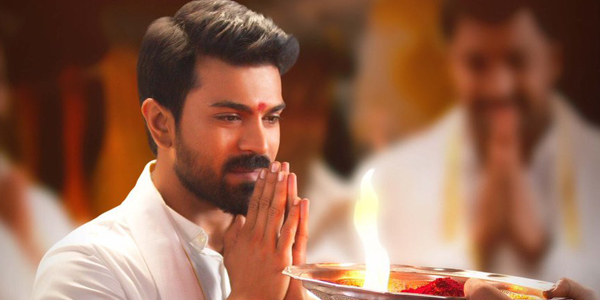 Mega Powerstar Ram Charan starrer much awaited film Vinaya Vidheya Rama is busy with its shoot schedules and makers have now announced its official release date. Audio of this family entertainer is expected to be in the second week of December. Makers officially announced that, Vinaya Vidheya Rama will be releasing worldwide for next year Sankranthi festival. This film is an commercial action entertainer which has completed its talkie portion shoot and next schedule is planned to begin from December 10th. A huge set is being erected in Hyderabad where a song shoot to be done. Kaira Advani is the female lead while Aryan Rajesh, Prasanth, Sneha, Vivek Oberoi are playing prominent lead roles. Vinaya Vidheya Rama is being helmed by Boyapati Srinu and has musical scores by Devi Sri Prasad. DVV Danayya is producing the movie under DVV Entertainments banner.